We drove up to Vanderburgh Air Force Base to spend Saturday night with my cousin Joanna and her husband Zack. 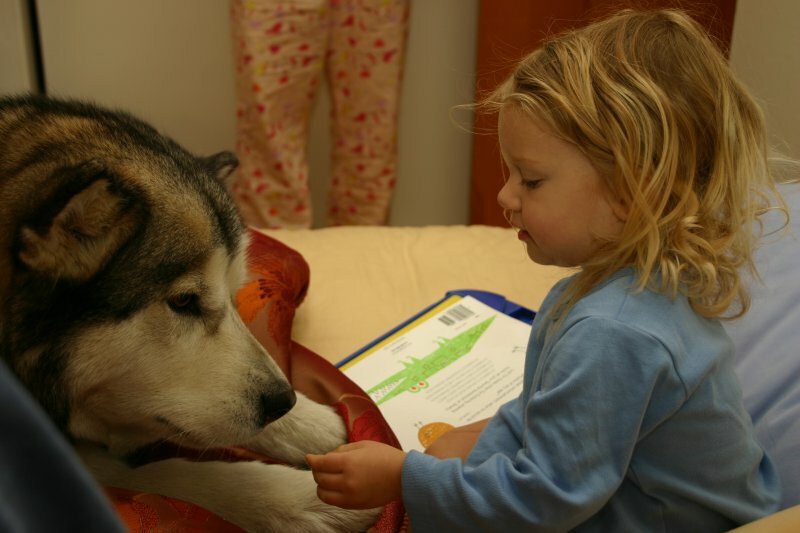 They had a really friendly Alaskan malamute named Sheba that would pretty much eat anything (except spinach). Here Amelie is feeding him raw almonds. He is a sled dog, very low and powerful, and Amelie had a lot of fun with him. 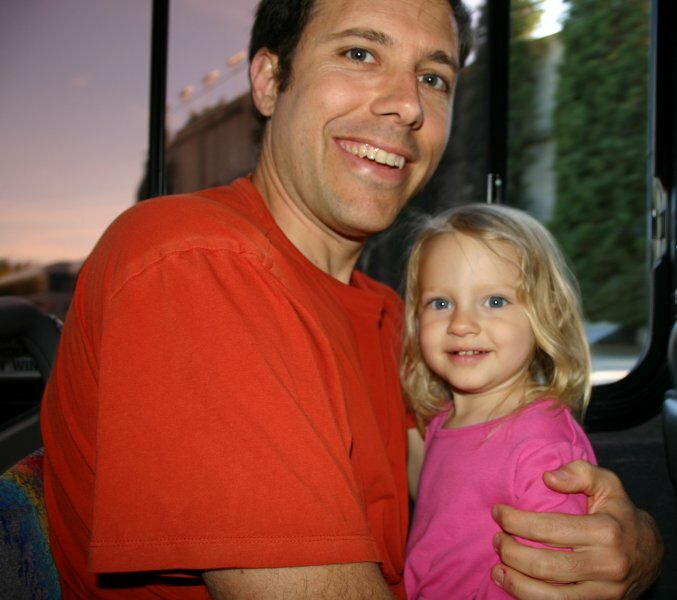 Amelie's favorite part of Hearst Castle was the bus ride to and from the hilltop estate. She generally points out buses and big trucks as we drive around anyway, so getting to ride on one was pretty exciting for her. 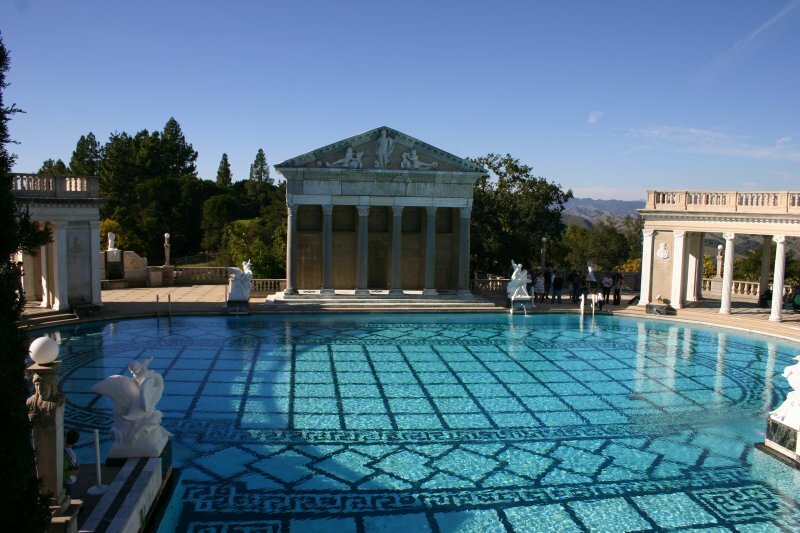 Hearst Castle is the second largest estate in the US. 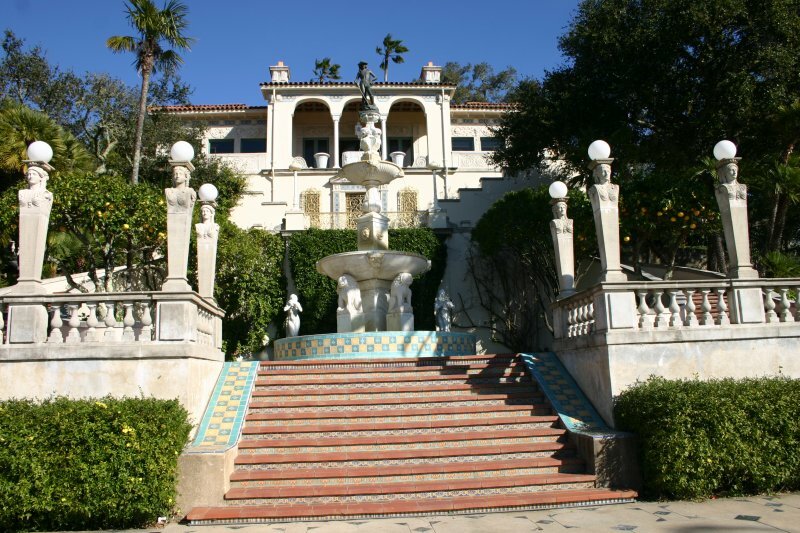 It was built over many years from 1919 to 1947 by William Randolph Hearst. He was constantly tearing stuff down and rebuilding, changing his plans and redoing the place. Hearst was a pretty evil guy, and his parents were even more evil, so I had mixed feelings going through this place. 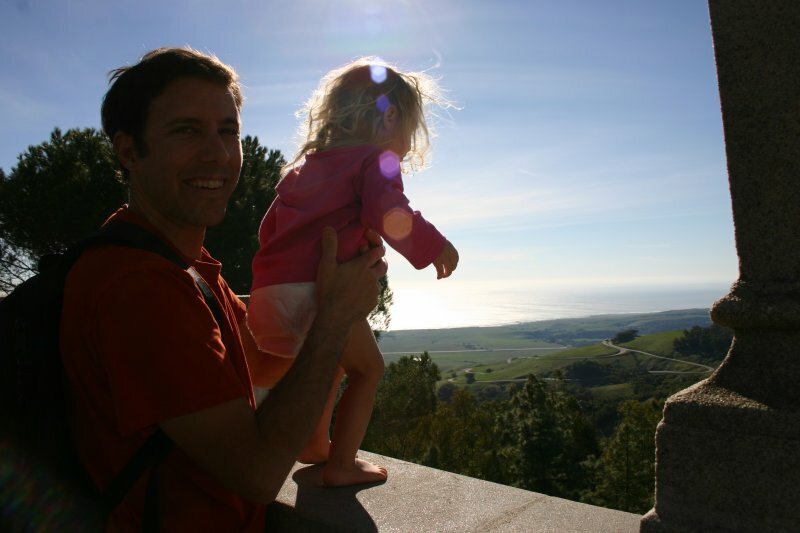 Once we got to the top, Amelie wanted to get up here and check out the view, so I let her. There is a sheer drop on the other side of this rail, though, it was pretty far down. The tour guide came over and said this was making him nervous. I told him it made me nervous, too. Here Amelie is pretending to jump, which probably didn't help his nerves any. 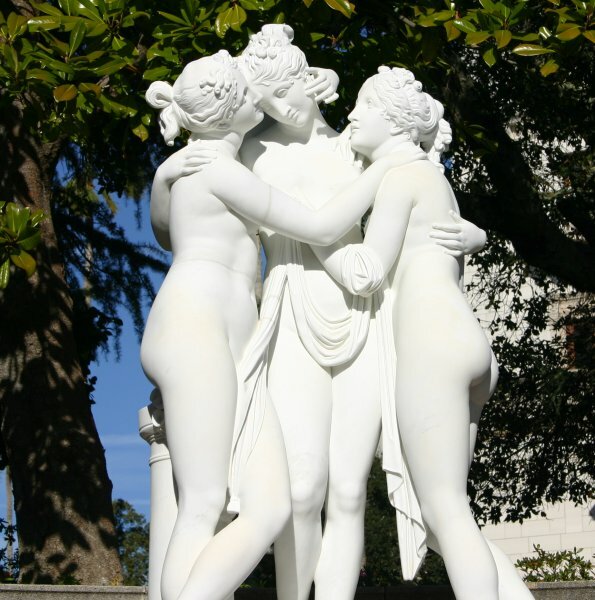 I've seen many marble statues, but I've never seen any as clean as the ones at Hearst Castle. They're just immaculate. This pool was torn out and rebuilt three times. It's a 345,000 gallon outdoor pool. The pool is the coolest thing on the estate. 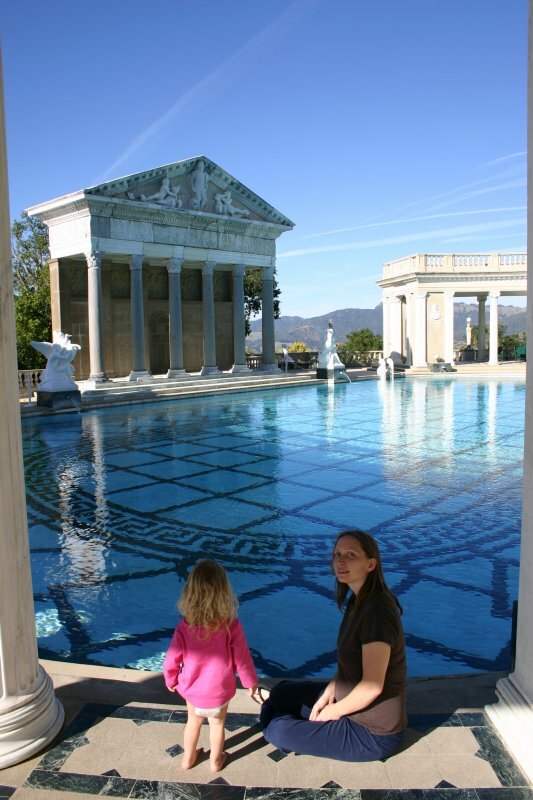 Most of the place is pretty ugly or gaudy, but the two pools there are very nice. The problem is that he's incorporated all this old artwork into the building, so there's no real cohesiveness to it all. 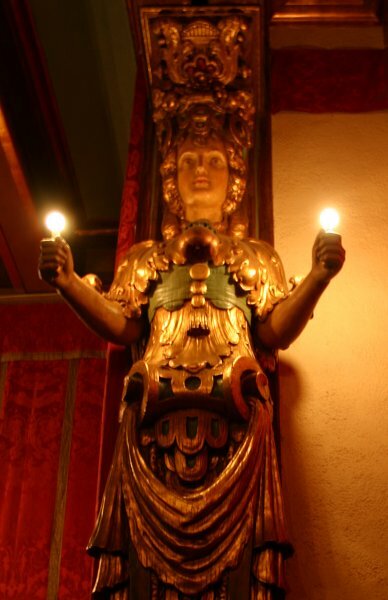 He has his own movie theater, it was pretty cool with many of these wood statues lining the walls. This is the indoor pool. It took eight tile setters over 3-1/2 years to finish the tile in here. It's just amazing. It's a 205,000 gallon indoor pool that is ten feet deep. 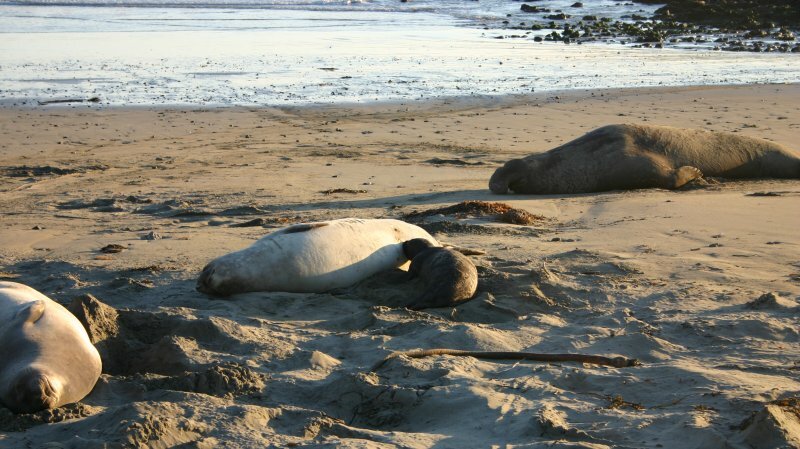 Of course, any trip to Hearst Castle has to include the elephant seals. They were all over the beach, but here's a baby elephant seal nursing with his mom. There's a big old male one behind them. They were pretty cool, but they made sneezing noises at you. I'm not sure what that means when they do that. After the Hearst Castle tour, we spent the night at place called the Cambria Lodge. They had this cat there that was amazing. 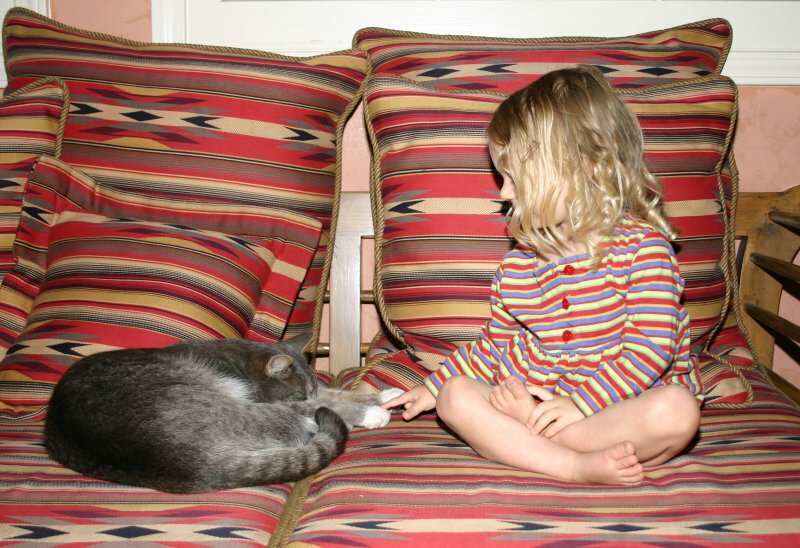 It would let Amelie pet it and bug it as much as she wanted. It must get this a lot. 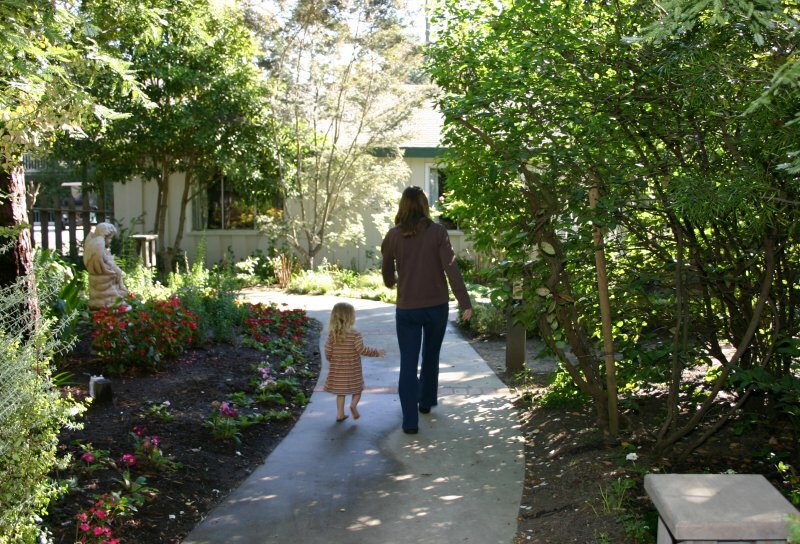 The Cambria Lodge had really cool gardens where they grow organic fruits and vegetables for their restaurant. It was a pretty cool place. The gazebo was a lot of fun to play on as well. Naomi is about five months pregnant here, but she's still looking slim.